I do love my sake and craft beer but I wouldn’t miss the opportunity to taste a good wine! Moreover, the fact I’m for Bourgogne, France, does not limit or hamper whatsoever my scope. A good wine is a good wine! Full stop. 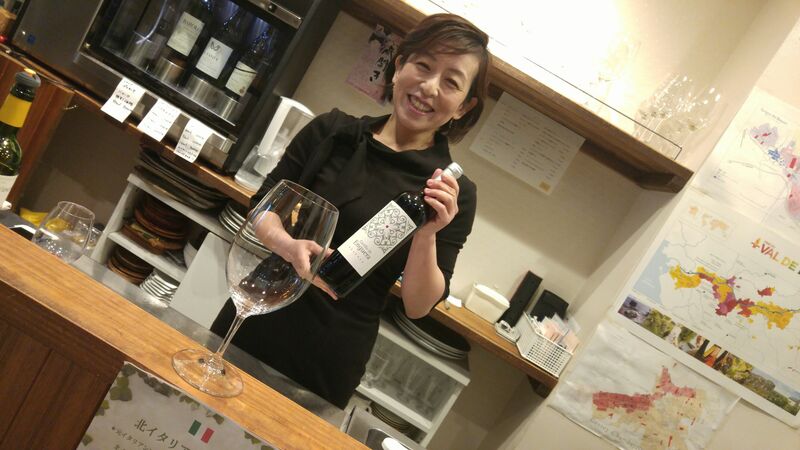 And once again I found myself tasting another an unusual nectar in the company of my good friend, Mrs. Hiromi Hasegawa in her castle, La Sommeliere in Shizuoka City! 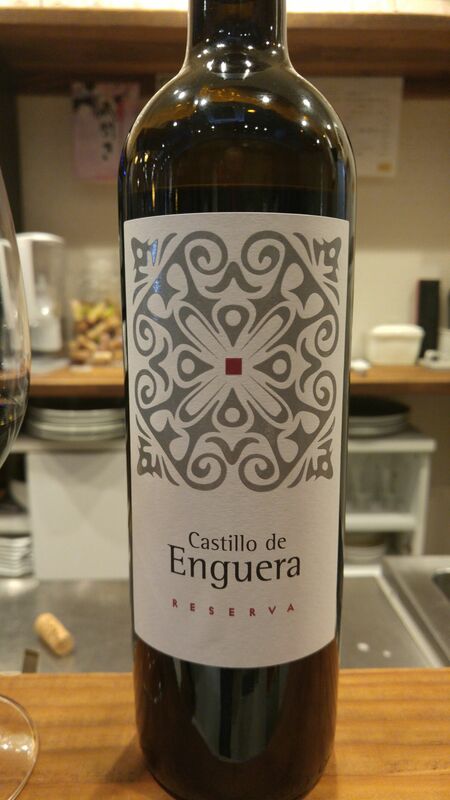 Castillo de Enguera 2010 Red made by Bodegas Enguera in Valencia, Spain! This particular wine is a blending of the above grapes matured for 12 months in New French casks (60%) and second-year American oak casks (40%). Clarity: Opaque and dense but very clean. Aroma: Dry and fruity. 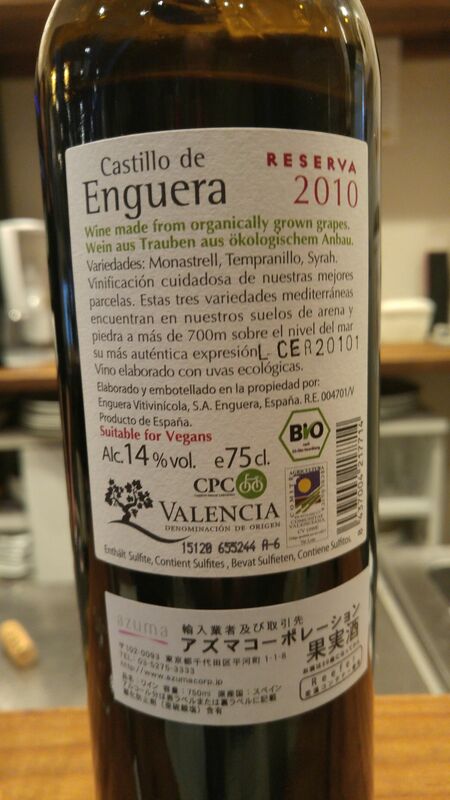 Red fruit, cassis, dry prunes, dry figs, spicy herbs. Complex: black fruit jam, confiture, black pepper. Gives the impression of eating red grapes. Complex to the point of insistingly inviting for another and another sip. Will intrigue you with new facets every time. Stays long enough in palate for true tasting before departing on notes of spicy black pepper and dry coffee beans. Overall: Eminently enjoyable red wine. Complex, spicy but gentle on the palate for lack of acidity in spite of basic dryness. 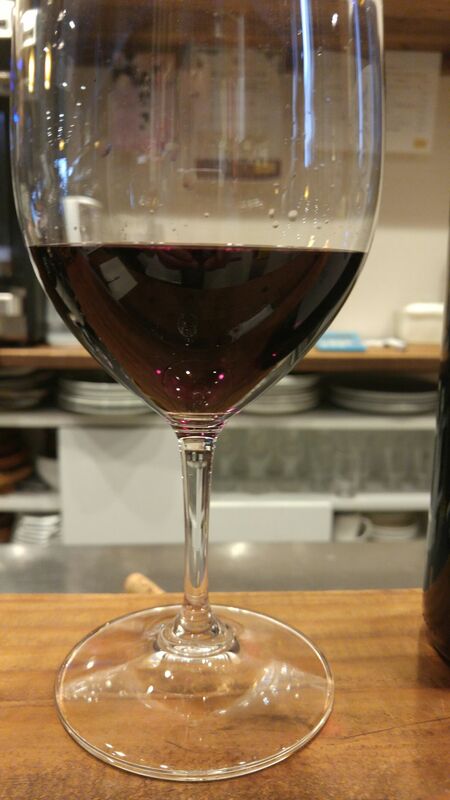 A well-balanced red wine very easy　to pair with dishes. Suggested pairings: blueberry sauce venison, Korean BBQ/yakiniku, simmered pork/buta no kakuni, Chinese cuisine. Retailed at 2,380 yen for takeout. Sold at 900 yen per glass or 3,880 yen per bottle to be drunk on site.